The earliest extant written reference to the Worshipful Company of Horners was in 1284 but the craft of the Horner dates back to “tyme out of mynde”. Cornucopia, the horn of plenty, featured in classical literature; bronze age artefacts often contain horn and sounding horns (shofars) are described in the Old Testament. 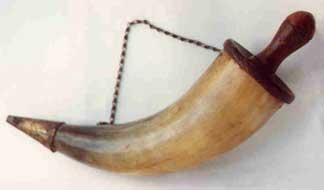 Horn was inexpensive and readily available and was used for containing solids and liquids and for bugles and simple musical instruments. In addition elaborately decorated horns were used for the conveyancing of land and property. Horn books were an early form of primer. The alphabet and Lord’s Prayer appears beneath the translucent horn, that gives its’ name to the article. A seventeenth century example is covered with leather and stamped with a figure of Charles I on horseback on reverse, crowned CR in top left corner. 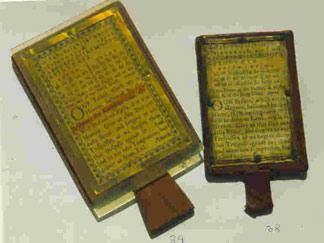 The simple horn book, is a reproduction using celluloid instead of horn and printed by Otto H. Miller at Thomas Dodds printing shop, Boston Mass. 1896. Horn books were in use, in various forms for almost five hundred years. Early 18th century pressed horn, with portrait of Charles I facing right in armour, unsigned but attributed to John Obrisset a Huguenot who moved to London at the end of the seventeenth century and worked in horn, tortoiseshell and silver. He is known to have produced this form of tobacco box and the lids of his boxes vary from the formal portrait and equestrian form, mythological and sporting scenes from the early years of the century to 1735 the year of his death. A particularly fine back comb, in translucent horn with pierced decorative panel, open work with a central cartouche with the initials ‘IHB’ and 1694 scratched on both sides, the teeth having globules at the ends. 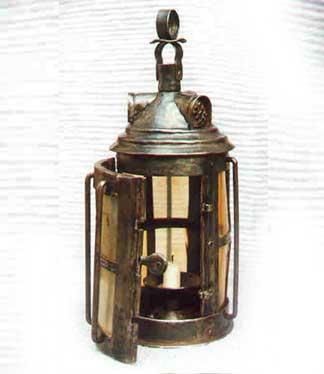 17th century. Horn has been used for many years to ‘dress’ sticks used by farmers, shepherds and walkers. The most famous and elegant examples were created by the late Norman Tulip, an Honorary Freeman of the Horners’ Company. The Officers of the Company carry splendid examples of his work on all ceremonial occasions. 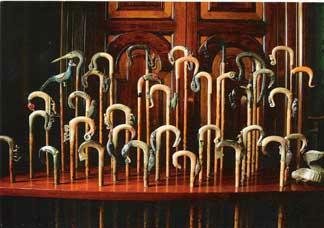 The photograph right (taken by Don H Williams) shows a collection of 35 of Norman Tulip’s sticks. These until recently were housed in Alnwick Castle, the home of the Duke of Northumberland. © 2019 The Worshipful Company of Horners.